Common “Alternative Meds”: Legit – or Quit? You’ve heard them all your life, and now the internet has breathed fresh life into old wives tales and home remedies. While we’re on the subject of alternative medicine, we thought we’d address a few of the more common non-prescription remedies for pets that patients ask us about. 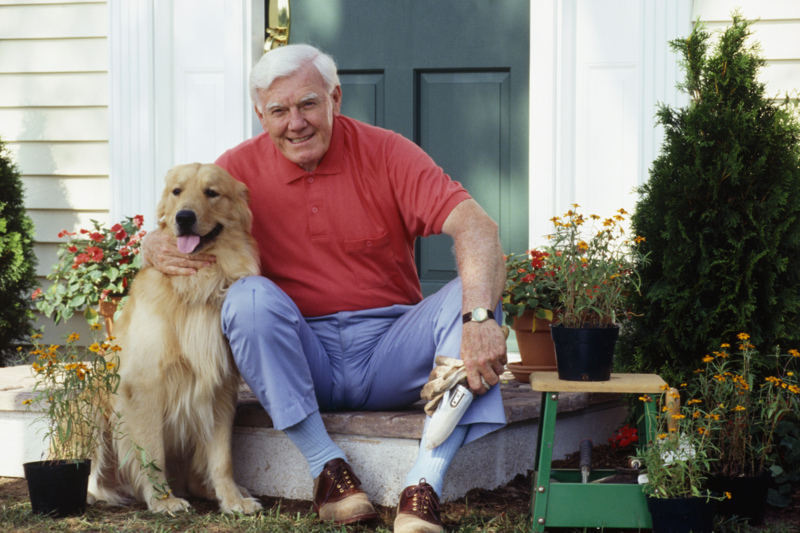 Glucosamine chondroitin for arthritis. While there are no scientific studies to prove its efficacy, there is significant anecdotal evidence that glucosamine is helpful. Your best option is Dasuquin , as it has avocado extract, which is a natural anti-inflammatory. Omega fatty acids for skin/coat problems. Omega 3’s are important to your pet’s health. Like humans, the oil from plants and fish is absolutely beneficial for skin and hair. Feliway to soothe your cat. Feliway® is a synthetic copy of the feline facial pheromone, used by cats to mark their territory as safe and secure. It can reduce urine marking, vertical scratching, and sometimes a loss of appetite or decrease in activity. Dog Appeasing Pheromone for skittish dogs. 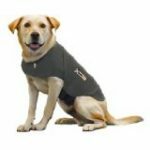 It is helpful for dogs who are showing fear in situation such as: a different environment, loud noises like thunder, new pets or people in the home. Rescue Remedy is another tool to help with behavioral issues of fear, nervousness and anxiety. Of course, as with anything you give your pet, check with us first! NOT LEGIT – SO QUIT! Any “natural” flea product. Unfortunately, there are none that will even come close to being as effective as the mainstream flea products. (We even saw one that purported to use your pet’s ‘energy field’ to repel fleas. Wipe on teeth cleaning products. Trust me – we want these to work. But they don’t. Its a waste of money. Vitamins. Unless we recommend them specifically, any healthy dog eating a well-balanced diet does not need vitamins. Dog foods (have you tried RAW yet?!!) have everything they need. Formulas to remove tear staining. These don’t work, either. We’ve seen them all tried before. Note that this is not a comprehensive list. These are just some things we’re commonly asked about. It’s very important for owners to remember that supplements, vitamins and herbal formulas are not controlled by the FDA, therefore there are no standards, no governing body and no rules are enforced. What seems to good to be true probably is too good to be true. If it’s not from a reputable company – don’t trust it. 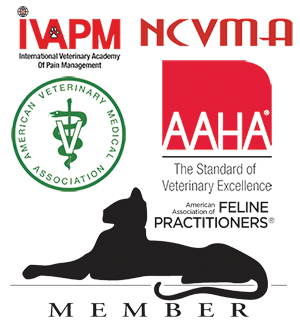 We only buy our products from companies who have an open door policy and whose reputation in the veterinary community is exemplary. We hope it goes without saying that we will tell you if an alternative medicine is safe – even if we don’t carry it. But our primary goal is to keep your pet – and you – healthy and safe. As you may have previously read, I began a study of alternative medicine when Western medicine failed my 14 year old Golden Retriever. 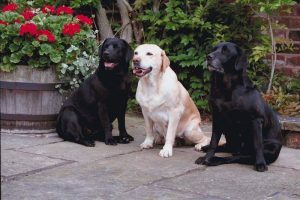 Hunter exhibited symptoms of excessive panting, drinking and urination but all Western medical tests returned normal. With no official diagnosis of a urinary tract infection or thyroid issue or Cushing’s Disease, I was at a loss for a treatment plan. Traditional vets are trained to diagnose, and then treat accordingly. Desperate for answers, I turned to Chinese medicine. After one week of herbal therapy, Hunter’s signs improved and after two weeks of herbal therapy, his signs completely resolved. I will admit I was skeptical and shocked. My dog Hunter prompted the question: what is Chinese herbal therapy effective at treating? The answer, in short, is any disease. The long answer includes two lists. The first one is a list of diseases which Western medicine treats so effectively that I wouldn’t recommend Chinese medicine as a first line of treatment. The second is a list of diseases that Western medicine is lacking in efficacy. Consider the chronic upper respiratory infections associated with feline herpes virus or the chronic urinary tract issues associated with Feline Lower Urinary Tract Disease. Think about conditions like irritable bowel disease, tracheal collapse, behavioral disorders including anxiety, aggression and thunderstorm phobias. Even acute diarrhea, vomiting, and skin infections are conditions that respond well to Chinese medicine. The list of diseases that can be very well controlled with Chinese medicine literally goes on and on. You know my story now, and you have a decision to make. What category do you fall into? Are you like some of my clients who never want to see a steroid or antibiotic again? Would you consider an alternative to Western medicine if your pet wasn’t responding to it? Or do you thank me for my “interesting” opinion and insist on a new prescription for the right antibiotic (while muttering about the Birkenstock-wearing, granola-eating vet)? Visit our Facebook page, and let us know your opinion. Whatever it is, we treat all kinds at Town N Country Animal Hospital and understand that the medical care given to your furry ones is a very personal decision. We’re just glad we’re part of that care and even happier that we can provide whatever you need. Remember, this month’s special gives you 30% off of your first Chinese medicine consultation or $20 off your first acupuncture appointment. Offer is good for clients new to our alternative medicine services only. Acupuncture – What’s the Point?! Have you ever wondered how acupuncture got started? “My head hurts. I think I’ll stick a sharp object in my hand for relief.” The whole concept of acupuncture seems odd to many of us. When you talk about it, people fall into two distinct categories of opinions. One is that acupuncture is a valid, effective, natural treatment option. Another one is that it’s pure quackery, reserved for flaky, granola-eating, Birkenstock-wearing older hippies. Although I do eat granola, I don’t own any Birkenstocks, and I consider myself a fairly logical person. Yet in our practice at Town N Country, I’ve seen acupuncture work when traditional solutions failed. The World Health Organization and the National Institute of Health have performed controlled studies and have proof that acupuncture is effective for a long list of ailments including hypertension, pain, nausea and vomiting. This list of diseases and clinical conditions to which the WHO and NIH believes acupuncture are effective for goes on and on. While I was mildly interested in the concept, my perception changed abruptly when pain became a constant part of my 15-year-old Golden Retriever’s life. 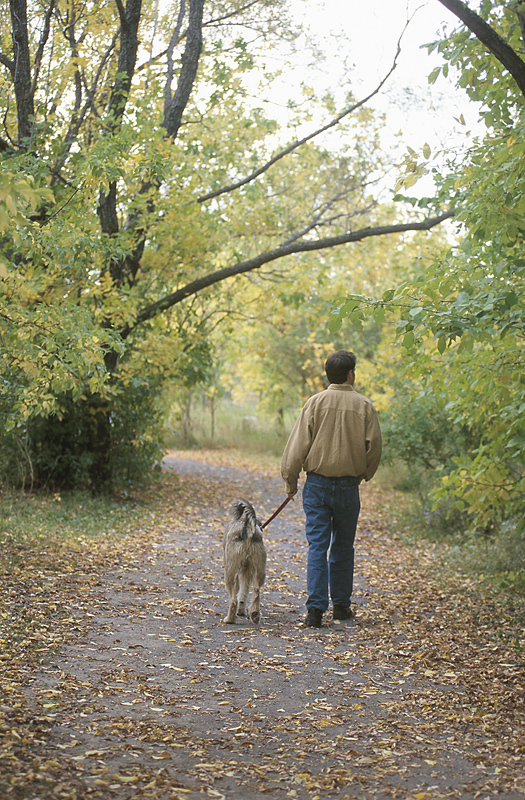 Pain management is my specialty so keeping my dog Hunter pain-free in his senior years was incredibly important to me. At the time, our boy was on up to 7 oral medications, multiple CRI’s of injectable pain medication, and multiple fentanyl patches to help with the pain and weakness in his back legs. Even with this variety of pain management medications, he still lost control of his back legs and was unable to walk or stand for much of the time. I thought euthanasia was inevitable, but there was still so much life in his eyes. He still couldn’t wait to get to his tennis ball or his food bowl. That is when I had an acupuncturist, Dr. Perrin Heartway, begin treatment. The morning before Dr. Heartway came, Hunter was unable to walk or stand. He had to be supported with a sling. The afternoon after Hunter’s treatment, he was trotting through the back yard and doing his “happy roll” in the grass. We had our boy back! I had exhausted everything Western medicine had to offer and was grateful that acupuncture could literally save Hunter’s life. We have so many clients who ask for options other than giving their pet daily medication for arthritis, anxiety, or urinary incontinence. It can be so frustrating when the medications stop working effectively or completely. At Town N Country, we believe that every case is individual and responds to each treatment differently. We want to be able to offer our patients and our clients the very best options, and this is why we’ve opened our medical library to include Acupuncture and Chinese Herbal Therapy. If you would like more information or would like to discuss your pet’s case with one of our vets, contact us at Town N Country. We want to help you find the solution to improve your pet’s life. Are you hot yet?! Hope you weren’t too hot to remember your pet’s prevention meds for the first of the month. If you forgot, this is your friendly reminder. The first of the month is also the time for us to tell you about our current theme and special. In June we’ll be talking about alternative medical services for pets – specifically acupuncture and Chinese medicine. Dr. Bolynn will be sharing from her knowledge and experience in both of those areas, and telling you about how it could benefit your pet. And – for the month of June only – get 30% off of your first Chinese medicine consultation or $20 off your first acupuncture appointment. Offer is good for clients new to our alternative medicine services only. This questionnaire must be filled out prior to appointments.